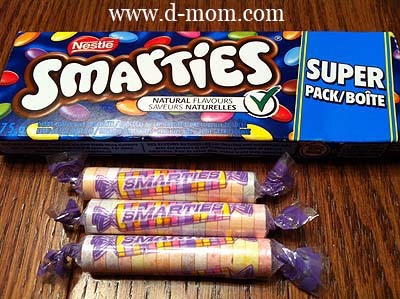 I know sometimes Canadian d-moms and dads are confused when Americans say we use Smarties to treat low blood sugars. Why is that confusing, you ask? 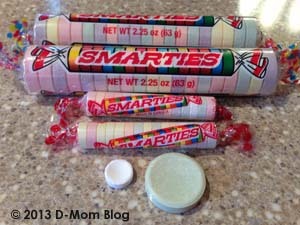 Because in America, Smarties are rolls of small tablets which are pure sugar. Their first ingredient is dextrose, the same as glucose tablets. 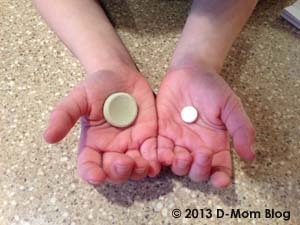 I always say that they are cheaper than glucose tabs, and a heck of a lot more fun! But in Canada, Smarties are similar to M&Ms. They are candy coated pieces of chocolate. I don’t get to Canada often. In fact the last time I was in Canada was during my honeymoon ten years ago. 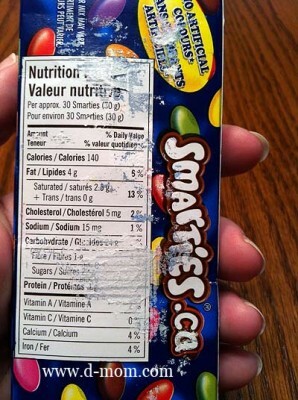 So needless to say I have never had Canadian Smarties…until now. At Friends For Life we were in the lobby and Q started talking to Team Type 1 cyclist Chris Scully. Chris offered Q a box of Smarties, which we happily accepted and put in our backpack to enjoy once we were back from our trip. Verdict? I’m a chocolate snob so I thought they were just okay. In all fairness I think M&Ms are a waste of chocolate. 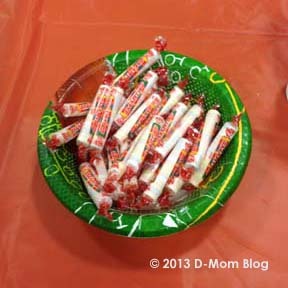 The candy coating was crunchier than M&Ms and the chocolate had a bit of a different flavor. But the kids ate them up and asked how we were going to get more Canadian Smarties. It was really all about the novelty of trying something new. 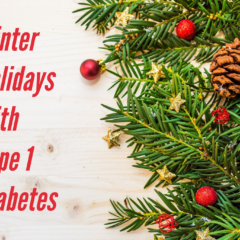 Plus, they were a gift from a new diabetes friend! 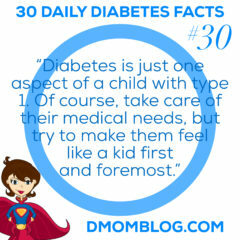 And by low, I want to know what the lowest cost remedy to treat a low blood sugar is. 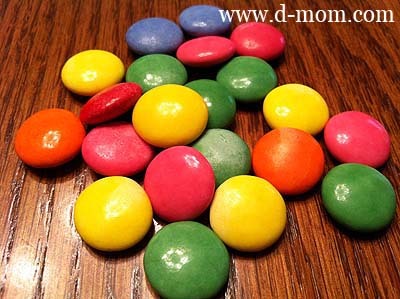 Everyone has their favorites: juice, glucose tablets, even candy such as Smarties and Skittles. We always used juice for lows. And then I realized that Smarties and glucose tablets have the same first ingredient, dextrose, and Smarties were a lot cheaper and a heck of a lot more fun! 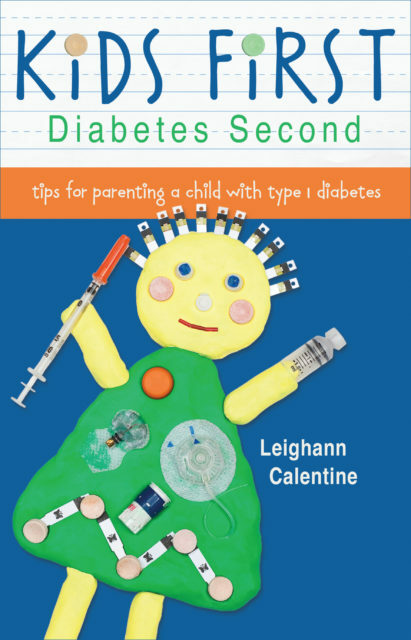 But let’s face it, sometimes it’s easier to hold a straw to a child’s mouth and help her drink juice rather than have them chew a roll or two of candy or several glucose tablets. I decided to do a little comparison shopping and figure out how to get the best bang for your buck. I have to wonder why glucose tablets are considerably more expensive than Smarties. Do they charge more because they can? Is there a significant ingredient difference (none that I can see). It’s not like glucose tablets are pharmaceuticals and have to have FDA approval, that I’m aware of. And it looks like the store brands are cheaper than the name brand Dex 4. Prices given here are regular prices, though some of these were actually on sale when I did my price comparison. I picked up a couple of the ReliOn Glucose Keychains, which were under $2 each. Each keychain holds four glucose tablets. 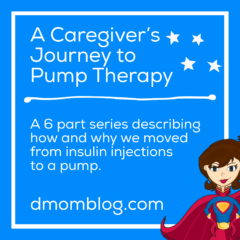 I attached one to the zipper of our pump bag that we carry around. I’m not sure how easily Q could open it, but four glucose tablets are at the ready. (Thanks for the tip, Lorraine!) 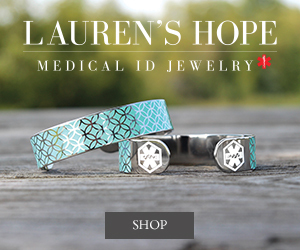 I have not seen this type of keychain at any of the other pharmacies around town. 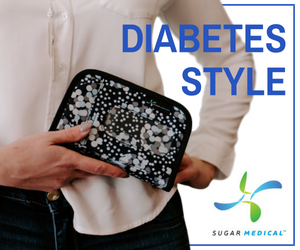 Don’t forget that if you are enrolled in a Flexible Spending Account (FSA) that glucose tablets are usually eligible. You might also be able to use your FSA for juice or Smarties with approval, or so I’ve heard. Though rules have changed for 2011 and we may need prescriptions, even for over-the-counter items, for FSA reimbursement. 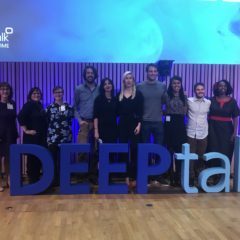 What do you use to treat lows? Do you look for the lowest cost ways to treat lows?